What is good data and what does it have to do with assurance? To put good data in to your mind means you allow a cleansing of unhealthy data to leave your brain. Jesus walked with the disciples for three years, teaching, coaching and adding joy and healthier thinking to their minds. Joyful people know how to direct their thoughts in healthy positive ways. When hardship comes their way they may not handle it perfectly, but they take a step back and look for the lessons in the situation. Joy-filled people use their minds to implement what works for them to get past their past. They do what it takes to prevent negative thoughts from disrupting their lives. Look at Wilma Rudolph’s example. Ms. Rudolph said, “My doctors told me I would never walk again. My mother told me I would. I believed my mother.” Wilma didn’t have an easy life. She helped raise her 21 brothers and sisters in extreme poverty in a segregated community. She contracted polio in both legs and was crippled from age 7 – 12. Although these challenges were monumental, she believed she could create her own reality based on the belief that she would walk again. Not only did Ms. Rudolph create her own reality by walking again, she also became the first American woman to win 3 Olympic gold medals in track and field. We each carry around a mental picture of ourselves which become our self beliefs. You might even look at it as a self portrait based on your ideas about who you are, formed from past experiences, your successes, your failures, embarrassing moments, and the way people treated you, especially during your childhood. These beliefs may be unclear to our conscious mind, but they are there, down to the last detail. Once a belief goes into this picture it becomes fact to us and we don’t question its validity. We simply act on it as if it were true. 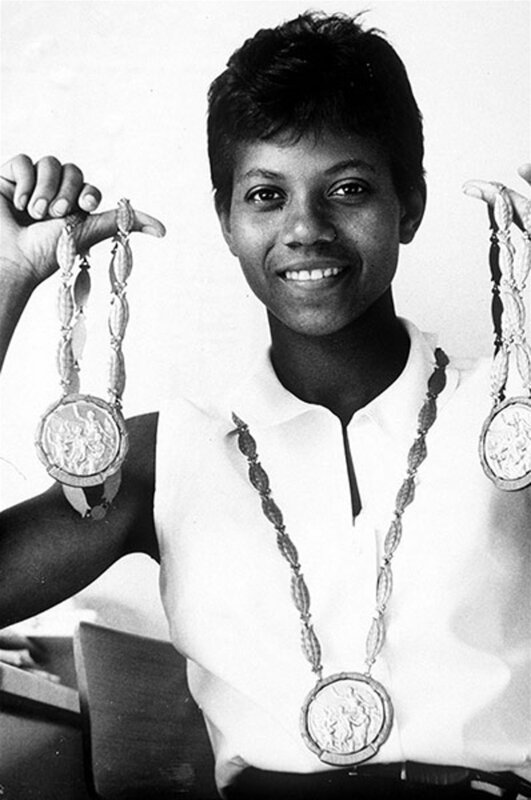 Imagine if Wilma Rudolph had believed the doctors instead of her mother? If she believed and acted as if she would never walk again, her thoughts would have been significantly negative, which would have created an oppressed life. Depression might have become her best friend. Instead, she took every thought captive in opposition to the belief that she could walk again. That thought was completely cancelled out in her mind and she felt strong in the assurance she would, in fact, walk again. Your self-beliefs form the foundation for your personality and your behavior. Therefore, these self beliefs are the key to changing your actions which are always consistent with your beliefs, and with the assurance, that God wants you to experience joy and peace. Because our actions are always in harmony with our beliefs, when we believe we’re successful: we usually are. When we believe we’ll fail: we find ways to validate that belief through self-sabotage. Did anyone ever tell you that you weren’t a good worker or that you were lazy? Children who, day-after-day, hear such remarks soon come to believe them. They create self-talk that’s negative and eventually come to find it just as assuring as the child who hears the positive. They think, “I’m just not good enough so why bother trying?” Then, sure enough, they fail in areas where they otherwise might have excelled in. You would believe it too! If you allow the world to train your brain, it would tell you dreams and accomplishments are not possible. If you ask God to renew your mind he would show you that television, movies, entertainment and news, may have to go, but what amazing thinking you would have instead! Never let anything into your mind that removes God’s assurance from your life. Be aware of your mind food. Notice your social groups. Are they healthy? If you have friends that gossip, it will poison your life. It will warp and twist your thinking of others. It will give you guilty feelings about who you’ve been gossiping about. Lifting others up will help you keep a healthy mindset and stay clear of judgement of others. Finally, have friends who stand for the things of God, rather than things of the world. Coaching can help you gain assurance that you are selecting a healthy environment.